Traffic Film Removers are an excellent cleaning choice for companies who have a substantially sized fleet of heavy good vehicles or vans. 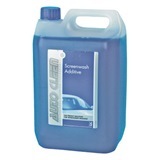 These heavy duty automotive cleaning products can be dispensed in a number of ways depending on your requirements. 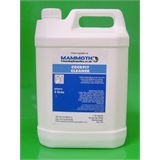 They can be diluted with water in a bucket when used with smaller vehicles, or can be used as part of a solution and added to machines such as pressure washers for easy application and cleaning of heavy goods vehicles and larger fleets.